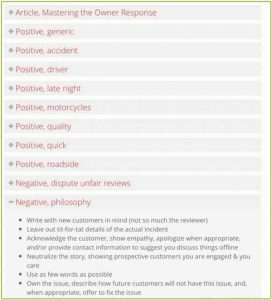 In the always-important task of generating positive towing company reviews, you are bound to have negative reviews in the mix. Depending on who is at fault, it will be tempting (or easier) to ignore them or respond emotionally. But the way in which you respond to negative towing company reviews has a major effect on the overall perception of your towing company. The importance of responding to negative towing company reviews is twofold. For one, you are genuinely trying to resolve the towing issue. But you are also creating positive content for those reading your towing reviews and using them to inform their decision. 45 percent of consumers say that they’re more likely to visit a business if it responds to negative reviews (Source). So, as you respond, write everything with potential customers in mind. People don’t expect you to be perfect. But they do expect you to be professional. 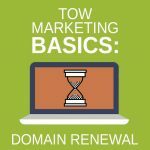 Below are three steps to responding to negative towing company reviews while creating positive online content that reflects your towing company. Apologizing isn’t necessary taking the fault for a poor towing experience. (Although, if you are at fault, this is a good time to accept the mistake.) But as a towing company owner that wants his or her customers to have a positive experience, you can apologize for the fact that they weren’t satisfied with the towing service they received. Don’t point the finger. Respond with facts to provide an understanding of what the situation involved. This helps put the negative comments into perspective. 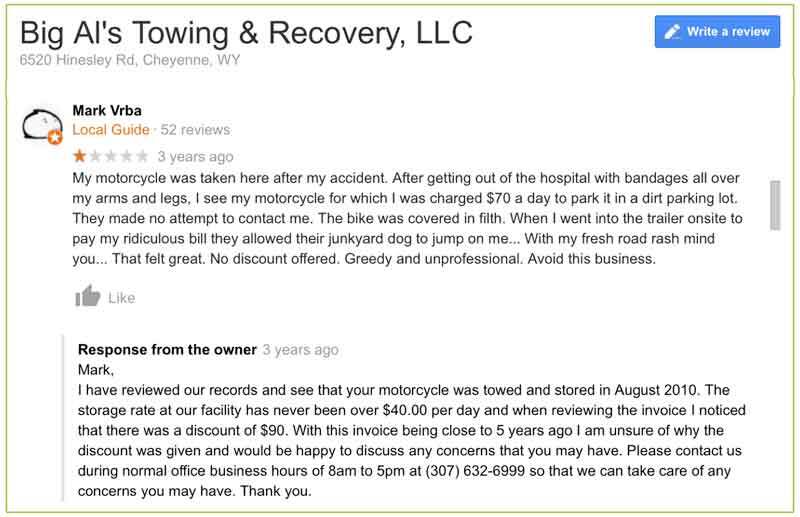 When a customer leaves a negative towing company review, give them a chance to be heard. There might be more to the story than what was expressed in the review, and a few minutes on the phone is a good way to resolve the issue. Then, IF you are able to successfully fix the problem and they seem happy, politely ask them if they would edit their review. 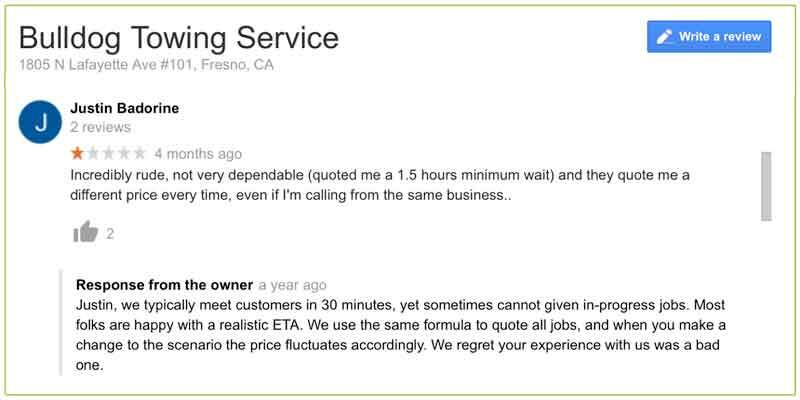 Let them know that you rely on accurate customer reviews to reflect the quality of your towing company. It’s important enough to mention again: People don’t expect you to be perfect, but they do expect you to be professional. Your response to negative towing company reviews is a glimpse into your company dynamics. Negative responses will push people away. Positive responses can turn a “towing near me” search into your next cash call. 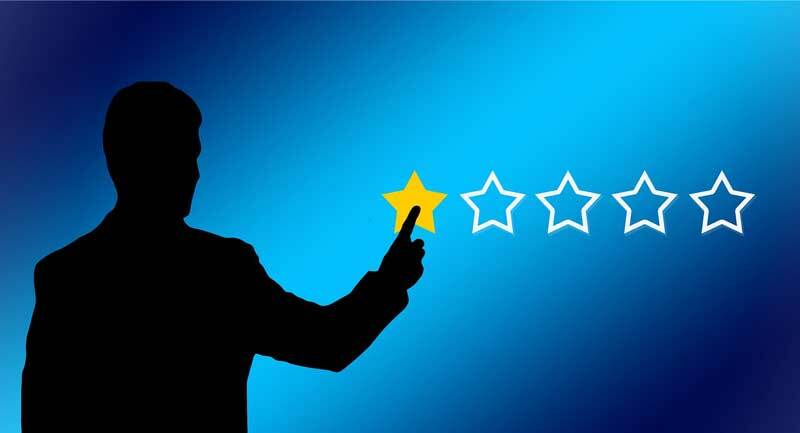 Having a library of review responses, for both positive and negative reviews, is a great way to stay consistent in your responses while also saving the time and hassle of coming up with something fresh. Subscribers to our Reputable Reviews program are provided a password-protected library of response samples. This helps compose succinct responses and to know when and how to request review removal. If you’d prefer us to handle all the responses for you, then you can upgrade to our Sustained Social Media program to get personalized responses to all reviews.